This is a deeply amusing fictional novel that will no doubt make readers laugh wildly and at the next turn snicker knowingly at the maschinations of a collective that in one summer throws massive renegade soundsystem parties in various locations in and around London. 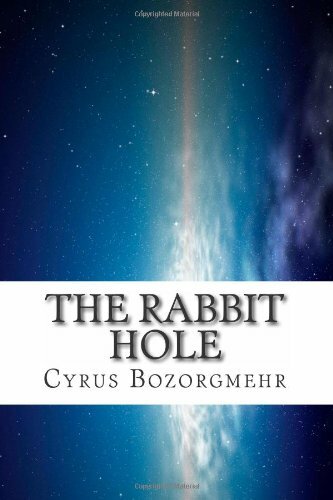 Many readers, including myself, track down this paperback or ebook because it is one of the few fictional narratives about the worldwide teknival movement, and it is written by Cyrus Bozorgmehr aka Sirius, member of Spiral Tribe and SP23. One of the pleasures of reading this book is the constant elision between fiction, personal experience, and (non)-history – the reader may ask herself at any particular moment, ‘Is this a history of a soundsystem crew revealed in a over-the-top, far-fetched retelling, or a narrative slight of hand imagining what could be?’. That inquiry only takes the reader so far since there’s a lot going on in the book. What becomes much more satisfying is the reader’s traversal of the literary play between the comical, the serious, and the caricatured as the crew members’ grapple with the principles that inform their collective actions, deploy strategies of collaborative artistic creation, experiment with the transformative potential of music, deal with the insidious nature of the music industry and commercialism, and negotiate state repression and infiltration. The book’s prologue sets the stage with the corrupt police officer Barry and his partner Joe witnessing on the street a pulsating, luminescent rip in the fabric of time that gives them a vision of reality which they pass through. It is unclear from the characters’ perspectives whether the whole rest of the book is ‘reality’, farce, or drug induced altered state. In prologue part 2 and 3, the police force attempts to corrupt the ‘independent’ art scene, which is constantly satirized in the book, by having the officers pose as famous graffiti artists and an art critic, and injecting lots of money into the scene to buy off people. However, the plan seemingly goes astray when Barry is kidnapped by a supposed anarchist group to Colombia where he is forced to drink a concoction that sends him on an intergalactic trip down the rabbit hole of consciousness. Chapter 1 opens with ‘Barry’ wiped clean, unable to remember anything except his drug induced rebirth leading the character to call himself ‘Ben’. On the plane back to London, Ben meets Tim, and together they go to the communal squat. The characters of Sam, Gary, Carly, Chris, Tim, Dan, Harry and others are introduced throughout the plot, and some of them go to a demo, which is in fact an authorized tri-monthly ‘dissent outlet gathering’ with vaguely defined anti-capitalist tendencies. The managed ineptitude of ‘democratic’ protest in ‘free, public space’ leads the squatters into a debate on the topic. They decide the way to challenge the system is to create an outlaw free space, a big renegade party where individuals can find themselves and a new reality. For anyone who has worked in a collective and thrown underground parties, it is thoroughly entertaining to read how the practical planning and philosophical/ethical ideas that inform the whole experience are dealt with by the fictional characters. The narrative follows the crew as they experiment with artistic creation and music, come up with some dodgy financing schemes to get 150,000 pounds, learn about soundsystem engineering, settle on the party name ‘the rabbit hole’ and an anti-promotional strategy of street graffiti, and scout for the perfect underground warehouse spot. The crew manages to pull off a massive party with many co-conspirators, which puts them on the radar of the state. The shadowy power figures don’t see the rabbit hole as a challenge (yet) to the status quo and forced societal management. The critical practice of throwing free parties and the momentary emergence of sub-cultural pirate economies lived by the book’s characters can be read in dialogue with Bozorgmehr’s djbroadcast.net article “Is UK Conservatism Missing a Trick When It Comes to Dance Culture?” The Rabbit Hole crew’s seemingly successful, changing tactics of dealing with police interference to build a massive underground movement is a reassuring fictional counter to present day problems of throwing underground parties or small and medium sized festivals. The major ethical quandary of the book centers on the theft by the crew of a massive gold generator stationed at what is initially thought to be a Monsanto test site for GMOs next to Stonehenge. The storyline is amusing yet deeply suspicious as it is revealed in the media that the generator was to be a donation to a Tanzanian village funded with money raised by British schoolchildren. With the crew planning a Solstice outdoor 2 week long massive, they vote in favor of keeping the generator temporarily, leading one character to argue that they had betrayed all their principles. The story continues with the crew disassembling a b2 stealth bomber into a pentagram shaped ‘stone circle’ that shoots fire with a press of a button, various run-ins with some of the ’20,000’ Solstice partiers, the sensational, fictionalizing media hysteria, and the eventual police repression against the ravers. In the article “The Malign Media Representation of Glastonbury and Other Events” on djbroadcast.net, Bozorgmehr argues that participants should be wary of how the mass media shapes public perceptions of underground music as well as larger, lucrative festivals. He makes the case that if one actually attends a mega event like Glastonbury, there is a plethora of underground creative currents being actualized on a massive scale. To dismiss a music genre or party as corporate may be to accept media mis-representations. Fighting the insidious force of commercialization necessarily entails not buying into mass media portrays of music ‘subcultures’ (which is the terms the author uses routinely rather than ‘counter-cultures’), and although it is not written in this article, a productive next step is the writing and publication of counter-narratives by the participants and creators that interact with underground networks. The novel hits one of many turning points when Ben takes heroin from a strategically placed drug dealer to manage a bad acid trip, leading Ben down another hole as things progress. Several more parties go off despite police harassment, and the characters discuss how the feeling of the parties and its participants are ever morphing. However, a conveniently timed news report states that at a Congolese village many people were killed in an elephant stampede when the protective electric fence did not work because of the missing generator stolen by unknown thieves in Britain. After an intense argument between the crew about ethics and the potential corruption of their ideals, Tim leaves the group. Chapter 7 ends with the revelation that news story was a psychic war hoax planted by the state. The rest of the story is written under the headings “Chapter ???? ?” and follows how some of the crew participate in music industry interviews and jump onto the major label Follygram to produce a rabbit hole album. However, once the artists signed away their artistic creativity for a 100,000 pounds advance, the PR machine of the music industry tries to force them to produce pop music aimed at tween girls, until the crew finally fucked off. The book concludes by tracing what happens to the various characters and the demise of the rabbit hole concept. Sam thoughtfully muses about whether there needed to be a point to the biggest underground movement the country had ever seen, and sadly acknowledges how Ben was successfully turned from one of the catalysts of it all into a starving addict unable to live his ideals. Just when “Ben” gives up and surrenders to the police state, Joe recognizes “Barry”.